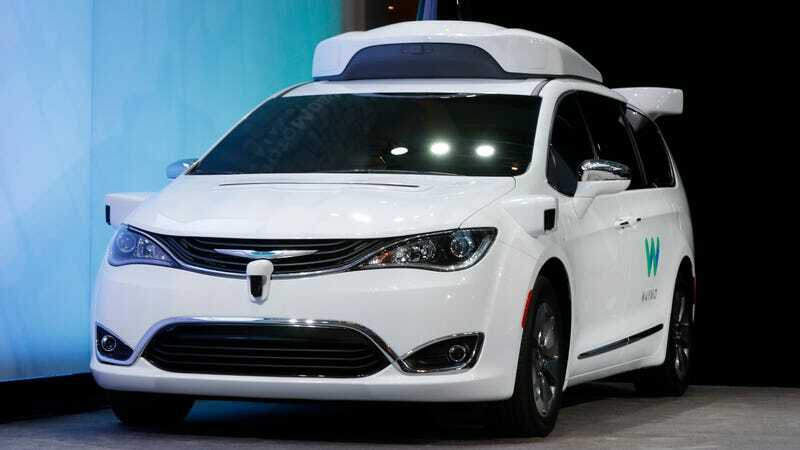 Google’s self-driving car company Waymo sued Uber in February, claiming that Anthony Levandowski, a former Waymo engineer, stole 14,000 documents detailing Waymo’s lidar systems before accepting a job with Uber’s self-driving car program. The emails reflect a common refrain among engineers who develop autonomous technology—that software, not hardware, is where companies can gain an advantage over each other. Waymo isn’t the only company developing its own custom lidar system, but it’s also invested heavily in software for simulation and navigation. Waymo’s lawsuit focuses primarily on details of its circuit boards, which it claims Uber copied with Levandowski’s help. But of the nine trade secret claims Waymo is bringing to trial next month, only five are included in the 14,000 Levandowski allegedly stole—the other four came from elsewhere, so Waymo’s lawsuit isn’t based on the documents alone. Levandowski abruptly quit his job at Waymo in January 2016, after allegedly trying to convince several of his coworkers to quit alongside him and join his new autonomous vehicle startup, Otto. When Uber acquired Otto just months after its launch, Google began to worry. And when a Google employee was accidentally cc’ed on a December email to Uber engineers showing a diagram of a lidar circuit board that looked remarkably similar to Waymo’s own custom design, Google’s investigation into Levandowski picked up steam. But even prior to the cc fail, Google was trying to figure out what exactly Levandowski had done during his final months at the company, and how he had convinced several employees to launch a competing startup with him. A lawyer for Google contacted Waymo employees in September 2016, asking for help reviewing account activity and downloads by Levandowski and two other former employees. The lawyer, Tom Gorman of Keker, Van Nest & Peters, zeroed in on the fact that Levandowski had accessed a database of lidar files only once, copying it in its entirety. However, the Google engineer he corresponded with didn’t find Levandowski’s behavior very suspicous. In another email, the engineer explained that these schematics weren’t valuable compared to Waymo’s proprietary software. “At least historically, high-value has been algorithms and software. The hardware (at all levels) was a second class citizen. Maybe opinions have changed,” he wrote. A redacted version of the emails was initially filed in August. Uber has pushed for several weeks to lift the redactions on the emails, and Waymo finally submitted a more complete version today. “For months, Google has based its lawsuit on 14,000 files they claimed were critically important,” said an Uber spokesperson in a statement on Wednesday. “Now we learn from internal emails that Google knew from the beginning that these files were actually considered ‘low-value.’ This is why Google has been fighting so hard to conceal the emails that are being made public today,” an Uber spokesperson said in a statement. However, Waymo notes that the engineer’s impressions of Levandowski’s behavior were written before the notorious cc fail, and before Waymo realized that Levandowski tried to hide evidence of the download. “Uber is trying to make something out of nothing. The emails reflect initial impressions of a limited set of facts at only the very beginning of the investigation. As we later learned, Levandowski downloaded the files on the very same days he met with Uber and he actively tried to erase his digital footprints, suggesting he knew he was taking valuable materials. The egregious theft of Waymo’s files is just one piece of evidence among many others that Uber is using stolen Waymo trade secrets,” a Waymo spokesperson said.